PSD (shown in main photo) the RS232 output option (shown in photo top left ) and photo bottom left showing optional black leather carry case with clear viewing window and shoulder strap for both versions Load Cell Indicator or Strain Gauge Display - PSD (photo bottom left). 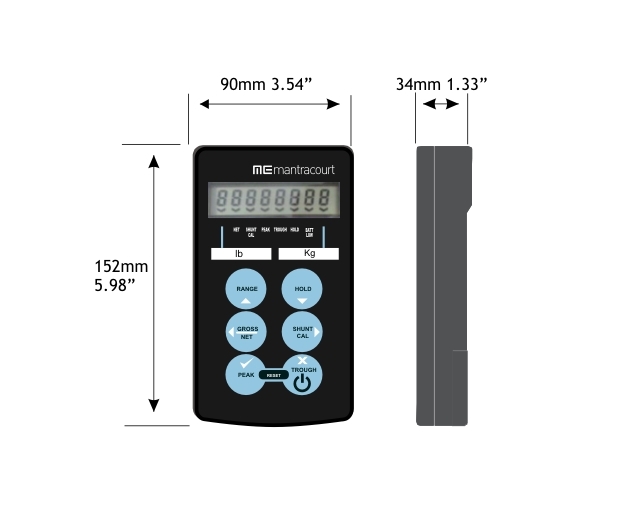 The load cell or strain gauge handheld display - PSD is environmentally sealed to IP65 / NEMA 4 with 1 year Warranty. Click here for more information about RS232 port streaming ASCII option for print, remote display and logging. The standard product does not include the RS232 port, so if this facility is required, please select from the options list below. The mating connectors are included with the product.